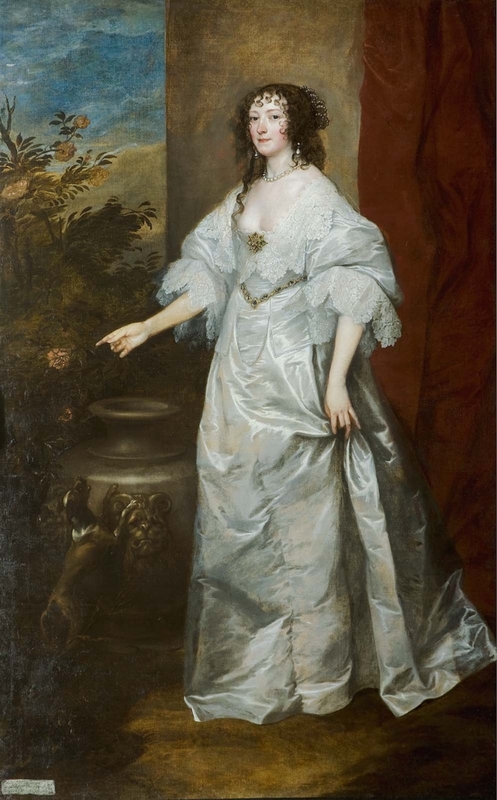 While in England as court painter to Charles I, Van Dyck executed refined portraits for the local aristocracy. Isabella, pictured here, was the daughter of diplomat Thomas Edmonds and wife of Henry, the 4th Lord de la Warr, also a diplomat and treasurer to Charles I. Van Dyck likely modeled her portrait on that of his slightly earlier Anne Killigrew, Mrs. Kirke (Huntington Art Gallery, San Marino, CA). In both paintings the sumptuously dressed women gesture to a rosebush—a possible allusion to love. The painting was lent by the Earl De La Warr to the British Institution in 1844 (no. 88) and 1857 (no. 5) and the Grosvenor Gallery in 1887 (no. 131). It was lent by Countess De La Warr to the National Portrait Exhibition, London, 1868 (no. 705). Many thanks to Agnes Penot for the reference to the sale through Boussod, Valadon et Cie. (stock book 14, p. 151). The painting was published in the Catalogue of Paintings in the Private Collection of W. L. Elkins, part II (1900), cat. no. 90, where its provenance is said to be “from the family.” The 1919 auction catalogue likewise indicates that the painting had been "bought from the De La Warr family." Though Elkins passed away in 1903, his estate did not dispose of his collection until 1919. Getty Provenance Index, M. Knoedler and Co. Records, PI record no. K-13218 (stock book 6, no. 14599, p. 186). Gutekunst was a partner in the London gallery Colnaghi.